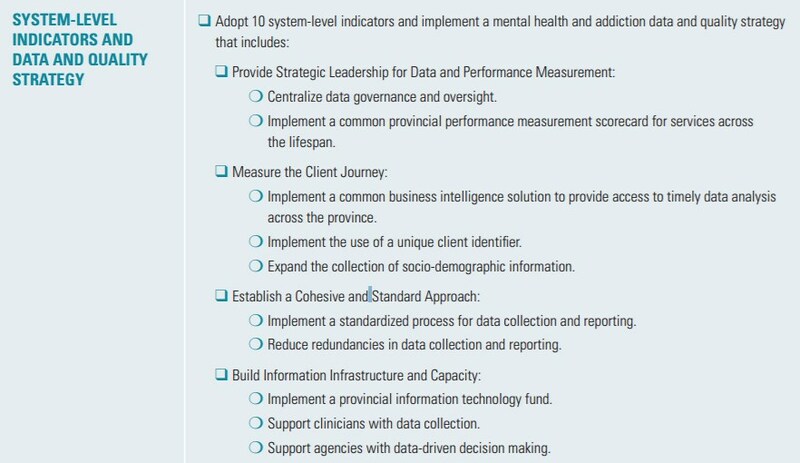 Ontario currently lacks a standardized, province-wide system of evidence-based performance measurement for the mental health and addictions sector. While data exists that seeks to measure performance at a number of levels, it varies widely across the sector and falls short of being able to provide Ontarians with a clear picture of what needs to be improved. Even the existing data cannot be easily linked to the broader healthcare sector, nor any of the other publicly funded sectors, such as housing, social services, and criminal justice. The mental health and addictions sector as a whole is currently unable to answer some key questions such as: What is the real time capacity and utilization for community and hospital mental health services? What are the wait times for clients? Who is using these services, when and which services, and for how long? What are the outcomes of the services and how are these services impacting on clients? Which combination of services are most effective for clients? As such, there is an urgent need for a comprehensive data and performance measurement strategy for the mental health and addictions sector. Performance measurement is the key to identifying both health outcomes and the return on investment for existing health services. Positive health outcomes however are not only the result of a high performing healthcare system, positive health outcomes also result from equitable access to the social determinants of health, which often lie outside of the healthcare system, such as housing, education, and employment. Therefore, it is essential that health outcomes are measured across multiple publicly funded systems – across healthcare, housing, social services and criminal justice – to gain a true understanding of the impact of service delivery on Ontarians. 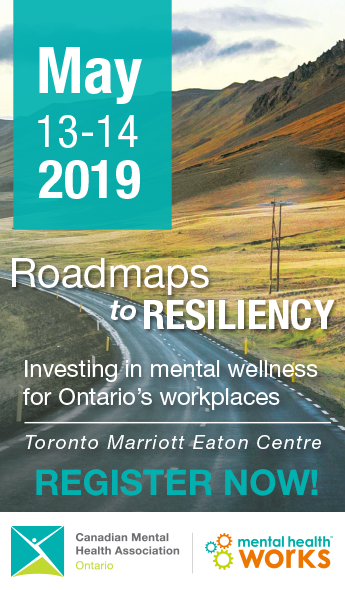 Meaningful, comparable information at an organizational-, regional- and provincial-level are critical to driving quality improvement across the mental health and addictions sector and ultimately improving health outcomes for Ontarians by improving the delivery of care. Robust information technology and data infrastructure is required at an organizational-level in order to effectively participate in the collection, analysis and utilization of data needed for system improvements. Unfortunately, much of this infrastructure is absent or disproportionately available across the mental health and addictions sector, especially for community-based agencies. A comprehensive data and performance measurement strategy should produce cost-savings that can be re-invested to enhance the capacity of an under-resourced sector and therefore improve the lives of people who need our services. The task group dedicated to this work is comprised of experts in health systems data and performance measurement, experts in health and public policy and leaders from mental health and addictions community agencies and hospitals. They began work on this new framework in the summer of 2015. The task group found that service providers at all levels faced a number of barriers and capacity issues that prevented the collection, sharing and analysis of sector-related data in a meaningful way. 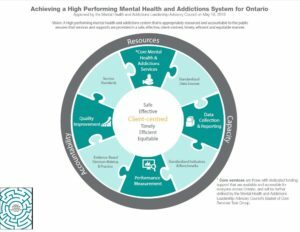 Since its inception, the task group members have been working on a provincial data performance measurement strategy for the mental health and addictions system in Ontario and a common scorecard of performance indicators. The indicators that are being considered can be standardized across hospitals and community-based mental health and addictions organizations, and can provide high quality, comparable data. Read the complete report on the Government of Ontario website.